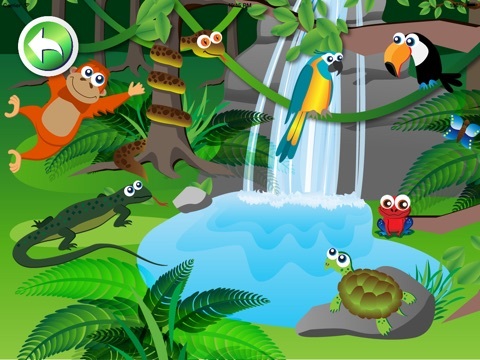 Animals World for Kids gives kids a chance to learn about animals in an entertaining way. 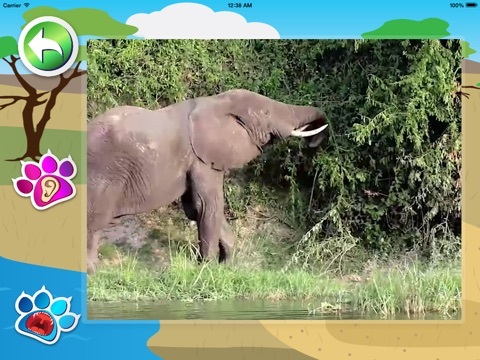 The app combines animated images of animals, videos of animals in their natural environments, and short narrated descriptions to help kids discover unique facts about some of their favorite animals. 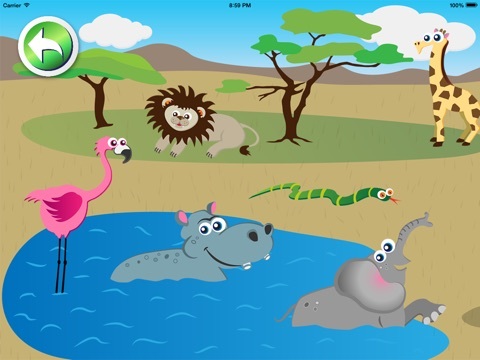 Kids can learn about animals in the forest, the jungle, the sea, the savanna, and in lakes and rivers as they navigate through this highly entertaining and educational app. Just by glancing at the main screen, you may not think the app has much quality to offer. However, the quality is hidden behind the main screen. Selecting a habitat opens a world of animated animals and exciting animal sounds. Tapping on an animal within the habitat introduces even more quality in the form of clear videos of animals in their habitats, each animals real sound, and a narrator who enthusiastically provides unique facts about each animal. 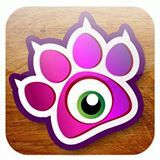 While kids will not gain an exhaustive amount of knowledge about any particular animal with this app, they will learn a little about a lot of animals. They’ll get to see the animals in their natural environments through the videos included within the app. They’ll also get to hear the animals’ real sounds and learn fun facts about each of the animals. For example, they’ll discover that the Komodo dragon is always sticking out its tongue to see what’s going on around it and that whales cannot breathe underwater. 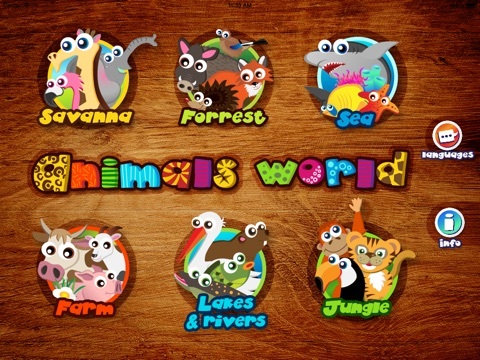 Rather than just providing information about animals, Animals World for Kids helps kids experience animals in multiple ways. First, they get to hear a variety of animal sounds and see a whole bunch of animated animals in their animated habitat. Then, they get to select individual animals and see entertaining videos of those animals in the wild. Finally, they get to hear a narrator telling them all about each animal and, in most cases, hear the animal’s sound. All of the options combined with the fun sounds and pictures make this highly entertaining for kids. While kids will not learn tons of information about each animal, they’ll learn a little bit of information about a whole lot of animals and it’ll be accompanied by animal videos and animal sounds. All of that makes this a must-have for parents of animal lovers and those who want to help their kids become acquainted with the animal world. Kids get to take control in this app. They get to decide which habitat to start with. They get to choose individual animals to learn about in each habitat. They also get to decide whether to listen to the description of the animal and listen to the animal’s sound or just watch the fun video of the particular animal. On the main screen they’ll also find icons allowing them to change the language, get more info, and rate the app, but these icons won’t take them outside of the app and they’ll quickly move back to enjoying the animal world. 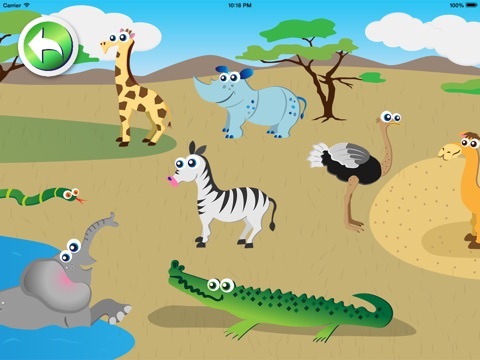 Kids interact with cute animated animals and learn all about what they eat, where they live, the sounds they make, and how to spell their names with Animani.